Home Warhammer Realm of Chaos: Wrath And Rapture Breakdown! 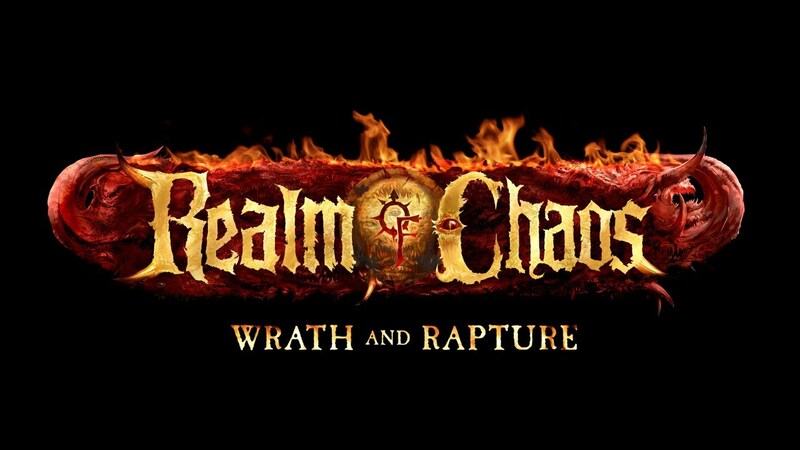 Realm of Chaos: Wrath And Rapture Breakdown! Wrath and Rapture (here after W/R) is an new and upcoming boxed game from Games Workshop, pitting the bloodthirsty Daemons of Khorne against the extravagant Daemons of Slaanesh. There’s a lot to cover with this upcoming box set. It has new models for some classic Chaos units, a new model for Slaanesh Daemons, and unique to W/R compared to their other boxed games, W/R is actually a sort of condensed reimagining of one of the first Chaos books ever written. W/R’s full name is technically “Realms of Chaos: Wrath and Rapture”, and that’s important because it calls back to a two book series collectively known as “Realms of Chaos”. 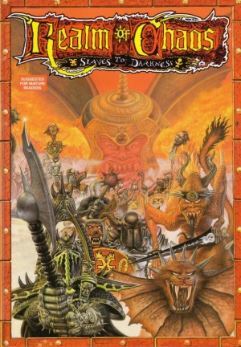 The compendium contained two books inside: “Slaves To Darkness”, released in 1988, and “The Lost And The Damned”, a follow up released in 1990. Many of you will probably notice that “Slaves To Darkness” is a common term used in Warhammer Fantasy and Age of Sigmar, referring to humans that fell to the forces of Chaos while “The Lost And The Damned” is often used in Warhammer 40K to describe the same idea. In fact, the current Forgeworld rules for Traitor Guard is called “The Lost And The Damned” incidentally. Clearly, these terms have quite a bit of history to them. W/R is a sort of update to “Slaves To Darkness” in particular, as the original was largely about the forces of Khorne and Slaanesh, along with covering some details for Chaos warbands as a whole. As if this wasn’t enough, it also provided the first full explanation of the Horus Heresy. Before “Slaves To Darkness”, 40K hadn’t really fully explained The Horus Heresy or the importance of Chaos to the Warhammer storyline. It was only 1988 after all, and Rogue Trader (40K’s 1st edition) had only been out since October of the year before, so it was a very fresh universe at the time. 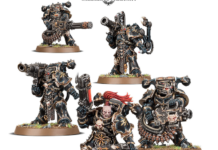 As icing on the cake, “Slaves To Darkness” also introduced the Ordo Malleus and, you guessed it, the Grey Knights.So, with the history lesson out of the way, let’s dig in to the game itself. 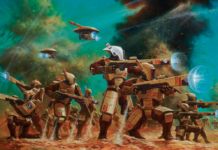 W/R looks to be a stand-alone product in the same vein as Betrayal At Calth or SpeedFreaks. We have a capture of the back of the box, so we have a decent idea of what’s inside. 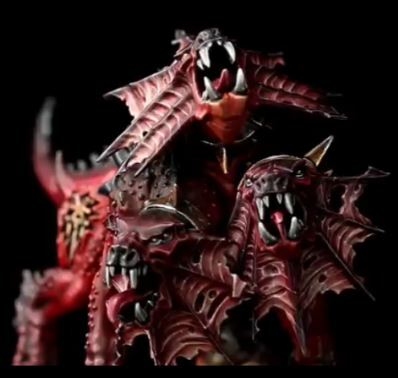 Content wise, it has a roughly symmetrical set of models for both Khorne and Slaanesh. 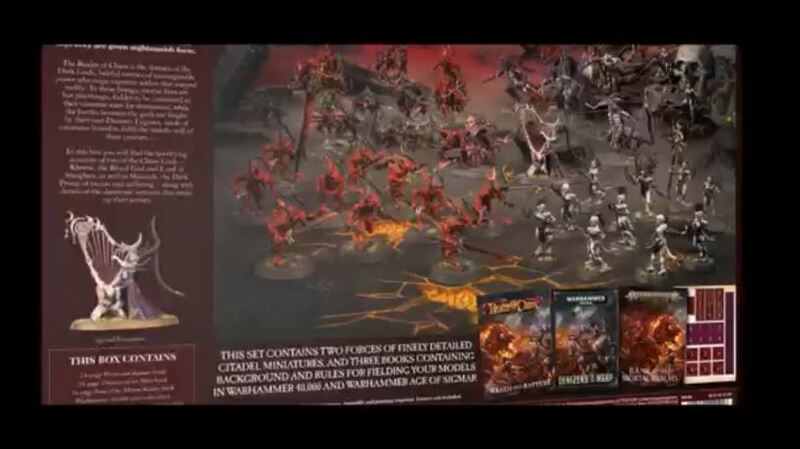 The Khorne army receives Karnak, 3 Blood Crushers, 5 Flesh Hounds, and 10 Bloodletters, while the Slaanesh army receives a new model which looks to be some sort of Herald playing on a harp of some kind, 3 Fiends of Slaanesh, 5 Seekers, and 10 Daemonetes. W/R appears to be set in the Warp itself, showcasing a small skirmish between Slaanesh and Khorne. It will probably also have some kind of terrain to help facilitate the game, but this is speculation. Let’s dig into something a little more concrete. 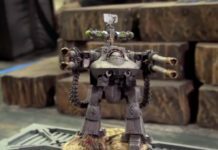 Historically, many of the stand-alone games that Games Workshop produces tend to be excellent deals for people looking to buy into a certain faction. 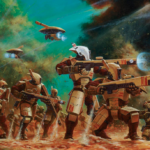 For example, Betrayal At Calth is still one of the most price efficient ways to begin a Space Marine force for either Chaos or Loyalists, if you can find it near MSRP. W/R looks to also be a reasonably efficient way to begin a force of Chaos Daemons for both 40K and AOS. Currently, if you were to buy everything the box contains that we have a price for (so no possible terrain or Herald with a Harp), it would cost you about 285 US dollars, approximating the price for 3 Bloodcrushers. So, even if they charge around 150-200 dollars for this box set, you’ll be saving a significant amount of money on the figures within, and that’s to say nothing for the value of the game inside itself. This of course raises the question of whether the contents are worth buying. Overall, the answer is a resounding yes. 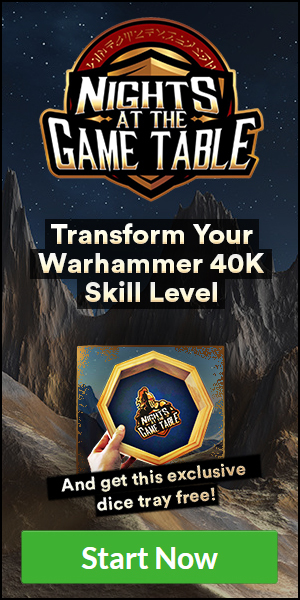 W/R provides you with a great starting force whether it’s just for you or you and a friend, and it works great for both Warhammer 40K and Age of Sigmar. 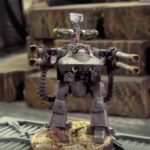 From the 40K perspective, the kit provides you with a Patrol for both sides, or can be combined to make most of a Battalion for a single player looking to play a mixed Daemon army. For anyone that plays AOS, they will be equally happy to find that W/R provides a good foundation of Leaders and Battleline units to begin your own army as well. In addition, the units in the box have a lot of synergy when put together. 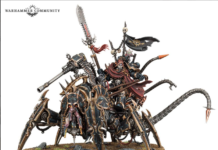 Karnak and Flesh Hounds do not like Psykers or Wizards at all, and Fiends of Slaanesh provide an extra level of hate against these kinds of models. 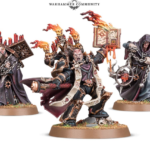 So, a player looking to break into playing Chaos Daemons can pick up a copy of W/R and get a great beginning army for playing either 40K or AOS with a focus on shutting down the enemy support pieces. Plus, the box comes with rules to play the game by itself along with rules to use the models in both 40K and AOS. So, no matter what your preferred strain of plastic is, you’re taken care of. As icing on this proverbial cake made of history and heresy, the new sculpts in W/R are incredible. 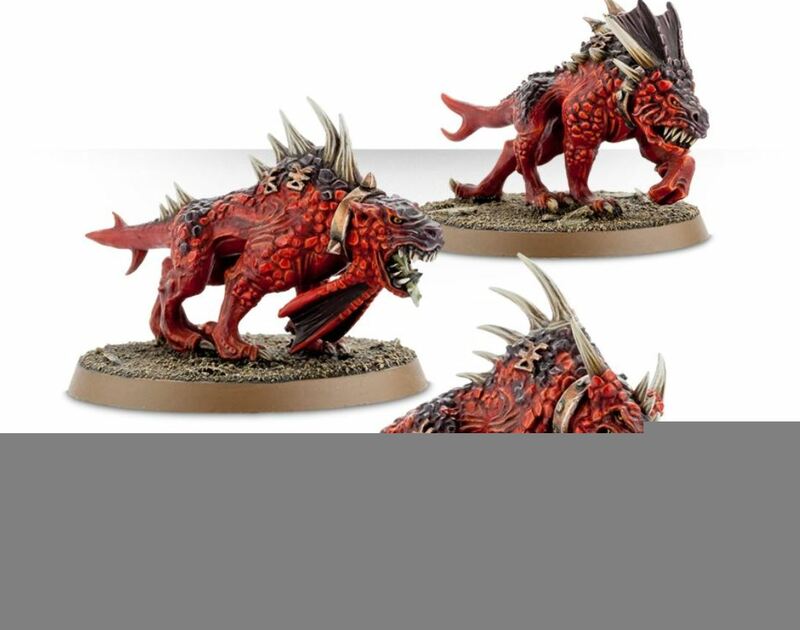 Of particular note is the updated sculpts for Flesh Hounds and Karanak. Previously, Flesh Hounds and Karanak had these random sort of protrusions around their neck with very little rhyme or reason. 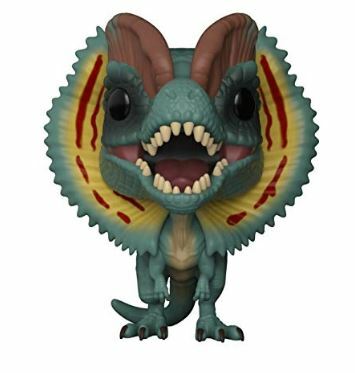 With their updated sculpts, they look like something out of a hellish version of Jurassic Park. This change is a significant improvement in the visual department. Not one to be outdone, the Slaanesh models of course also look amazing. The new Slaanesh Herald with the Harp is a gorgeous model in its own right. The harp brings out a lot of the grace and elegance that is supposed to be associated with Slaanesh but tends to be missing from their other sculpts. As far as rules go, we don’t have any kind of confirmations but we’re suspecting it’s going to have something to do with Leadership play. Slaanesh has always had a sub-theme of messing with the opponent’s Leadership and then penalizing them for failing tests in some way, and music seems like a natural inclusion to this package. 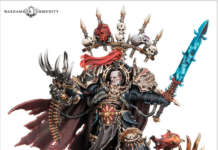 Between the historical significance of the name of the set, its likely large discount on figures inside, and variety of new sculpts, old and new fans of Chaos Daemons alike will have plenty of reason to pick up Wrath and Rapture when it comes out next month. We’ll be sure to keep you up to date on this and all future releases. Let us know in the comments what you’re most excited about for Wrath and Rapture! 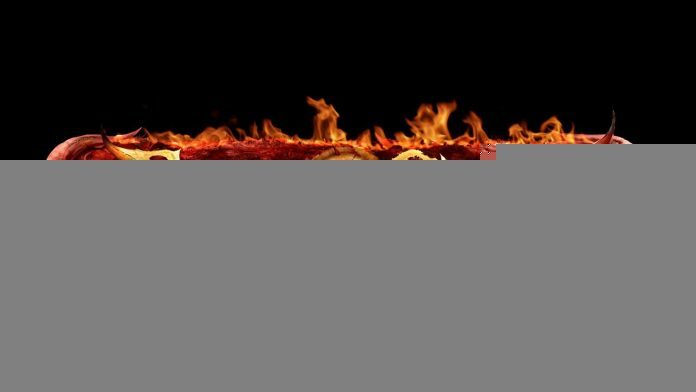 Previous articleThe 5 Things NATGT Is Most Thankful For! Next articleFirst Look: Warbringer Nemesis Titan!